While mainstream publishing has a slew of wonderful books, I honestly feel that the indie publishing market- a market stigmatized normally as having subpar, inartistic, amateurish writing- is rife with some of the most gut-wrenching, visceral creative stuff in the market. 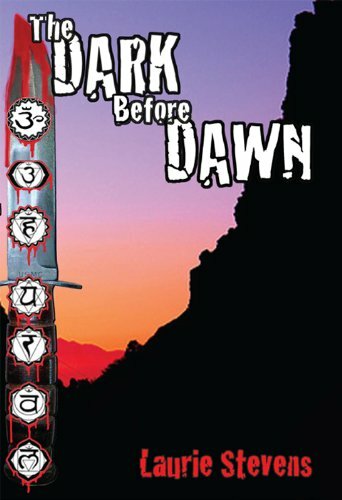 And, Laurie Steven’s The Dark Before Dawn is one-part nightmarish, and two-parts intense psychodrama, in a work that structurally and metaphorically echoes the late nineteenth century psychological thriller (that started the genre as a whole), Robert Louis Stevenson’s Jekyll and Hyde. The story begins with the gripping account of the Gabriel Mcray’s various unprofessional discrepancies, stemming from several outbursts of very intemperate anger, which has put the community at large in the area in more of a skeptical mood about the “professionality” of the Los Angeles detective bureau, for which Gabriel Mcray is a part of. This type of sketch for a main character for a thriller has been done over and over again, but Laurie Stevens really delves into the ongoing psychodrama of the morally complex thoughts, desires, and impulses of Gabriel Mcray, making it stand out from the many overwrought “antihero” cop thriller dramas that are out there in the mainstream market. Almost immediately, I became instantly engrossed with the confounding drama of Gabriel’s psychological life, and his relationships with the many other dynamic, idiosyncratic co-workers at the bureau he works at. This thriller is gruesome, and sometimes unapologetically so, with how relentlessly the author delves into the sadistic, almost inhuman violence that causes the main character to become embroiled in a mystery, which will incidentally cause him to really question his own ethics, his own psyche, and the many inconsistencies of character that make him such an interesting, though unpredictable force in the novel. Early in the novel, Laurie Steven brilliantly has the murderer leave a note, enigmatically addressed to Gabriel, saying “we are one,” and it is this horrific truth that really pushes Gabriel into some very uncomfortable, intimate encounters with his own darkest self- the self that feels an unreal, intense need to murder, or inflict violence on someone else, to ever make sense of the calamitous thoughts of his own mind. I am a huge fan of thrillers, which have a very palpable, interesting psychological angle. The psychology of violence really intrigues me, thus I admit to be really consumed with this excellent thriller, that Laurie Stevens does such a good job writing. There is moral darkness that is dealt with sometimes in a very chilling, visceral manner, that makes this story a bit too tough for the more weak-hearted to read. This is top-notch psychodrama suspense at its best, and this story goes beyond the trite, the pedestrian superficial of other inferior crime novels, and actually recreates that Jekyll and Hyde tale in a more urban, American setting, with touches of modern forensic science. I am definitely planning to sink my teeth into the sequel very soon, as I cannot get enough of this bright star in the thriller market. If you loved BBC’s recent modern adaptation of Jekyll and Hyde (one of my favorites), you will love this thriller novel. It’s really a great indie-publishing treasure, for anyone that especially enjoys any of the Hannibal Lecter books/films/tv show (I still need to watch Hannibal; I am well-aware it’s right up my alley of intense, sociopath psychodrama). Previous Post Review of Prince Lestat, By Anne Rice:Special Midnight Review Post!! I know my day has been made! Thank you so much for reviewing The Dark Before Dawn.